I've been hearing about the so called MMM of a thing online and even offline. I have even seen some with the branded T-shirt in my hood. The one thing i always say is that, it doesn't matter how much you make in a system / platform but what matters most is how much have you withdrawn. I am not writing this to condemn the business but wait, the Securities And Exchange Commission (SEC) has an important information for you guys/ladies that are already in the business and/or that are planning to join the system. “The attention of SEC, Nigeria has been drawn to the activities of an online investment scheme tagged ‘MMM Federal Republic of Nigeria (nigeria.). The platform has embarked on an aggressive online media campaign to lure the investing public to participate in what it called ‘mutual aid financial network’ with a monthly investment return of 30 per cent. SEC also notifies all the people investing their hard earned money into this system that the Scheme has no tangible business model and it's seen as a Ponzi Scheme where cash are paid from other people's invested funds. This business is not registered by SEC. Like i said earlier, am not here to spoil anyone's mood about the system. But i just want to let you see the risk in it and how it's been done. Even if you don't want to agree with me, but please apply your number 6. Don't empty your bank accounts all in the name of investing on MMM Federal Republic of Nigeria. You know what? Don't leave without sharing this post using the share buttons below. -But do you know that all investments are risky? -Do you know that the global financial system is the biggest Ponzi scheme of all times? -Do you know that going to school, working your entire life and hoping on an unpaid pension is a devilish scam? -Do you know that the US Federal Reserve, our 'master' use every other person as a 'slave' with dollars as 'shackles', are the worst criminals that we still applaud? Money in circulation as at 31st August, 2016 is about N2trillion, and all these pass through the banks. Pool of funds MMM is controlling shouldn't be more than N100million for now, which is peanut compared to the money in circulation. Again, all monies in circulation pass through the banks. MMM is not taking money away from us. The money we pledge to provide is still in our accounts. Consequently, the banks have nothing to lose because of MMM as the Founder of MMM does not take money from us. Please I repeat there is no need to panic. We are only helping one another at our own expense and risk, which MMM clearly spelt out. individuals to combat poverty at its core? one another, is that scamming really? they have received from other nembers? 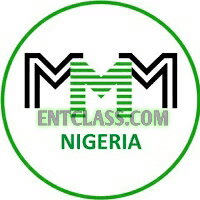 institutions now able to afford because of MMM? I will tell you what a scam is? do other than to keep quiet because you have no choice. salary as when 1 Dollar was N165 till now is a scam. retiring broke and in debt is a scam. Certificate etc....and people still say it's a scam? who a real scammer is. Am not saying or judging it as a scam site. Please don't get me wrong.